Enterprising schoolchildren receive £300 cash support from ‘Dragons'. 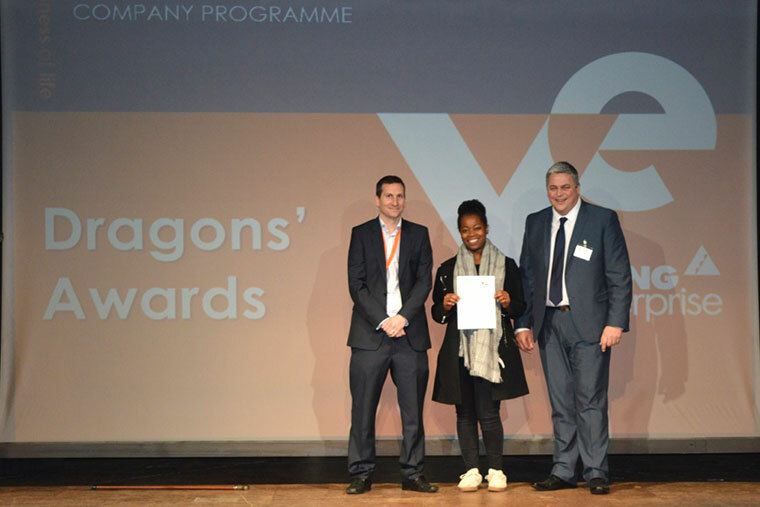 Schoolchildren from across Dorset were pleasantly surprised as generous ‘Dragons’ provided £300 cash support for companies competing in the Young Enterprise Company Programme at their Dragons’ Den-style events at Poole Grammar School. The YE Dragons’ Den took place on Thursday 8 February, when nine companies from schools along the Dorset coastline descended on the venues to present to a total of six Dragons. The Dragons came from local businesses and included representatives from larger organisations as well as some notable local entrepreneurs. The Company Programme is the ultimate enterprise experience. It’s a well-respected programme where students are mentored by a business adviser, and set up and run their own real company for over a year. The emphasis is on teamwork and innovation, but participants also gain valuable insight into developing a business plan, finance, market research, product development, marketing, promotion and trading with members of the public. All this comes with expert advice from a local Business Adviser. All eyes will be on the student companies next on 11 May when the companies will compete in the Dorset Final competition and aim to be the one student company selected to progress to the South West Regional Final in June.